Fresh, nutritious, wholesome, healthy food. Doesn't sound like the kind of thing a 'bacon waffles and fried chicken' kinda girl like me would be into for brunch. And yet...this new cafe might have just about convinced me to make friends with salad. But we'll get to that part later. Eighty/Twenty Food is the latest newcomer to join the Lonsdale street restaurant strip in Braddon. Just when I thought the suburb had hit cafe saturation point, I was proved wrong. 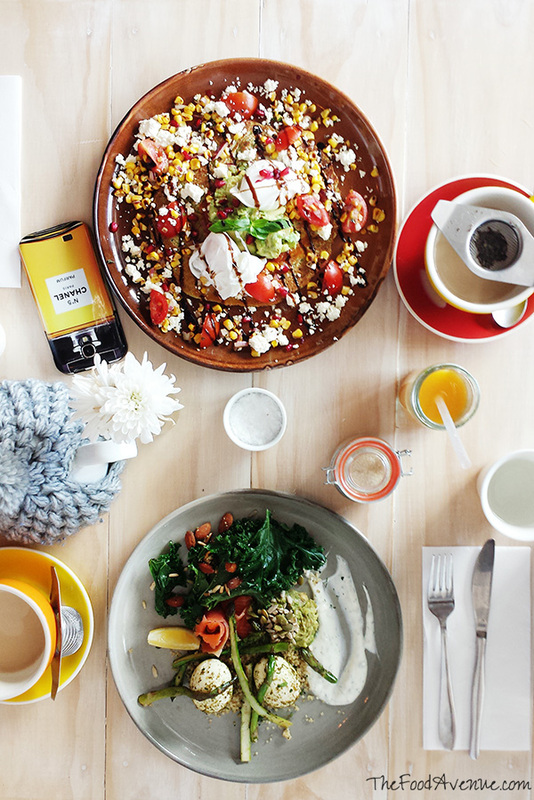 This particular Braddon cafe has a point of difference - a focus on wholefoods and balanced eating. Run by sisters, Klarisa Cengic and Tihana Ravanparsa, their food philosophy is "Eat well 80%. Indulge 20%. Happy 100%". Oops! All this time, I've been eating well 20% of the time and indulging the other 80%! Located on the corner of Lonsdale and Eloura streets (opposite the other numerically-named eatery Eighty-Six), Eighty Twenty has a very chic and monochrome interior. I loved the black shiny tiles in a diagonal pattern and the copper light fixtures. Very cool. Perusing the menu, I noticed a variety of The Fix cold press juices, but it was the intriguing smoothie menu that enticed me to read more. The Matcha Immunitea smoothie (matcha, mango, almond milk, coconut flesh, and coconut nectar) definitely caught my eye. I love matcha flavoured drinks, but I didn't think green tea was going to cut it this morning. I needed coffee. Bad. I considered the Coffee + Cacao smoothie but the Nutty Professor won my heart. Despite being run off their feet with a sudden explosion of people in the cafe, the person taking my order didn't even blink when I asked if I could have my Nutty Professor smoothie with coffee. She seemed completely unphased by my fussy order and put it through with no extra charge. I was impressed. Pretty much a meal in itself, the Nutty Professor smoothie ($8) was sensational. I knew it would be when I read the ingredients listed: cacao, milk (or milk alternative), banana, peanut butter, maca. Well actually, I had no idea what maca was, but I was willing to live on the wild side and take a risk. Later on, I asked Google. It turns out, maca is a root originally from the mountains of Peru and has been called the 'Peruvian ginseng'. Apparently it has been highly regarded for centuries as a miracle food and is the latest superfood to add to smoothies. I loved the visual presentation and textural element of the cacao nibs (cacao beans that have been roasted, separated from their husks and broken into smaller pieces). 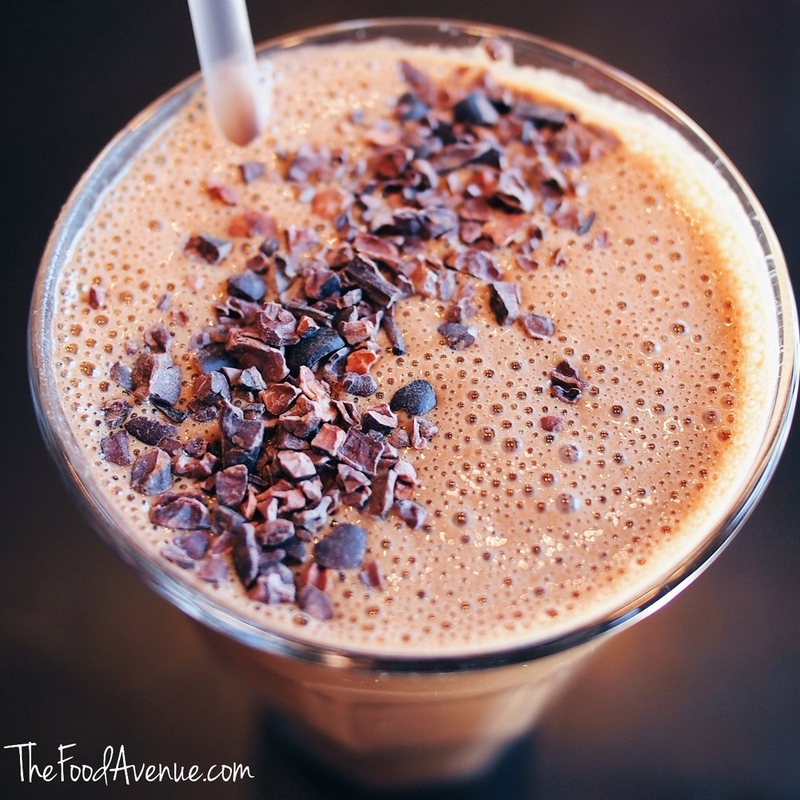 I stirred the cacao nibs through the drink and got a deliciously crunchy peanut butter smoothie. This clean eating business was off to a good start. Then came possibly the most beautiful porridge I've ever seen. The Quinoa porridge ($9.50) was sprinkled with pretty edible flower petals. The poached fruit and the crushed pistachios were perfect additions to the dish. My patient friends very kindly let me take photos of their dishes! Between all of us, we covered almost every item on the menu! 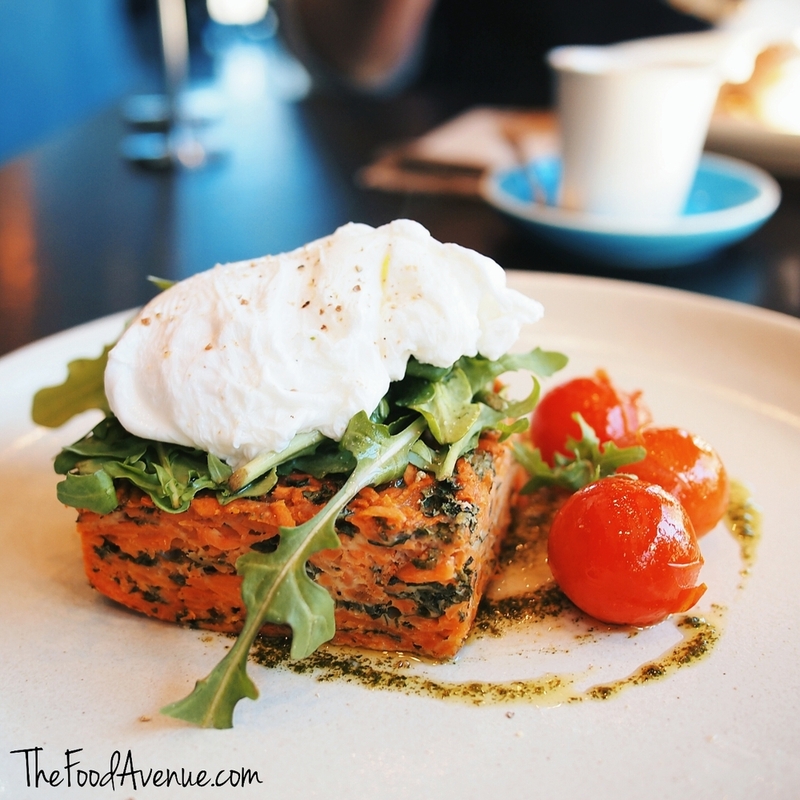 Kale and sweet potato rosti with poached egg, pesto oil and blistered cherry tomatoes ($14.50). I had a small bite of the rosti and vowed to get this dish next time I come back! 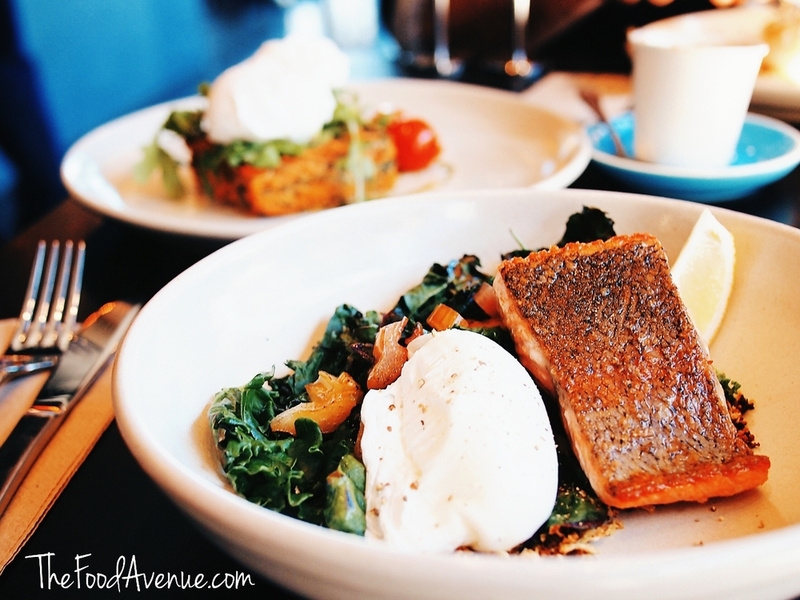 The '80' Bowl: kale, watercress, rainbow chard, radish, cauliflower crumb, soft poached egg and grilled king trout ($17.50). I pinched a bit of the king trout and it flaked away beautifully. Cooked medium rare, the trout was tender and full of flavour. Poached free range eggs on toast ($8), with a side of king trout ($6) and mushroom medley ($3.5). Total came to $17.50. The toast was left unbuttered, which got a tick from my friend. Except for the '20' Bun, everything else on the breakfast menu is pretty much vegetarian and gluten free. For those on the paleo diet, the menu also notes whether an item is paleo or not. Picky foodies all around can rejoice! The price point is excellent too. For the quality of ingredients you get, the prices are very reasonable and that makes me happy. What I'm coming back for: poached eggs on toast with a side (or two) of king trout and blistered cherry tomatoes. The Glow Pro smoothie looked amazing, so that's on the list too. Website: http://www.eightytwentyfood.com.au/ Facebook: https://www.facebook.com/eightytwentyfood Phone: 02 6247 2866 Email: info@eightytwentyfood.com.au Address: 1/8 Lonsdale Street, Braddon, ACT 2612 Open: Monday to Saturday 6am - 4pm. Sunday 7am - 4pm. They only take bookings of 6 people or more. After my first visit to Local Press in Kingston, I was kicking myself for not discovering this gorgeous cafe earlier. I was impressed immediately by the decor as my dining companion and I entered the cafe. The rustic and creative furniture complements the artfully distressed walls to create a very funky vibe. Cute cushions, cool knick knacks and nautical-themed accents adorn the cafe. The kitchen door is the most unique kitchen door I've ever seen! Showcasing what they're all about, boxes of fresh produce line the floor under the counter and platters of fruit are scattered around the cafe. The whole cafe is very open and the glass windows allow an abundance of sunshine into the cafe, adding to the wholesome atmosphere. You can see right into the kitchen as well! 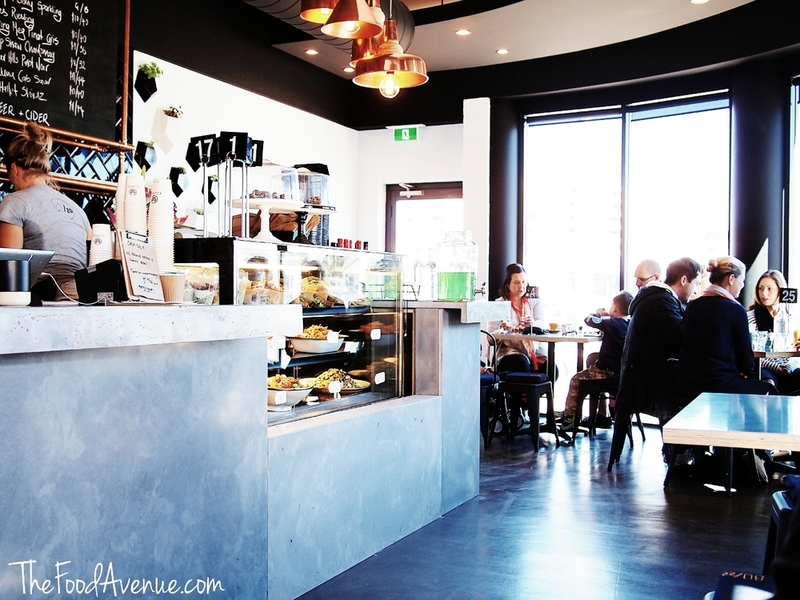 Local Press Cafe is a favourite amongst Canberra bloggers. It's easy to see why. Local Press has a very natural yet cosy atmosphere, not to mention very friendly staff who look like they love to work in the cafe. Brian efficiently took our orders on an iPad, and gave us a huge smile for absolutely no charge! We ordered some chai tea, which came in a teapot and a delightfully cute tea cosy! The cold pressed beetroot juice sounded too good to pass up! And I wasn't disappointed. The colour was gorgeous and it was absolutely delicious - the beetroot flavour surprisingly subtle and sweet. This cafe is utterly instagrammable! 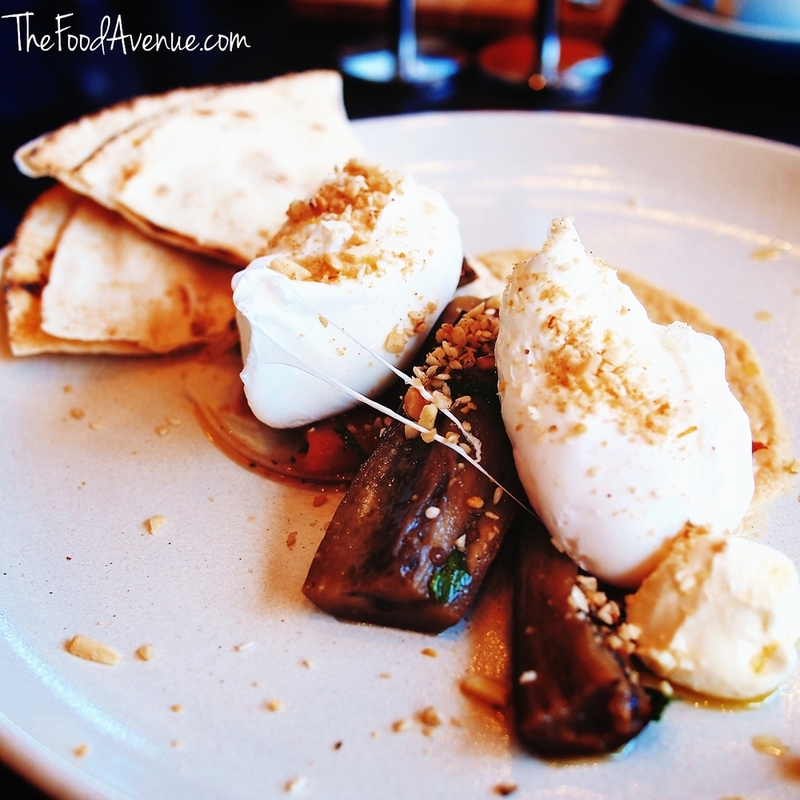 I ordered the Green Breaky Plate ($18), which consisted of Za'atar coated boiled eggs with kale, salmon, quinoa, avocado, asparagus and goats cheese. The chefs here clearly know how to make healthy food taste good. This dish was a cleverly orchestrated mix of fresh ingredients. Much consideration had been given to the flavours of the dish as well as making sure there were crunchy and creamy textural elements. My dining companion ordered the Green Pea Pancake ($16) - poached eggs, guacamole, crushed feta, mint and chives dressed with house pomegranate-balsamic reduction. I will definitely be back to try this dish next time. I was highly impressed by how much thought has been put into every aspect of this cafe - the decor, the food, the drinks, and the service. And we seriously considered staying on for lunch when we had a sneak peek at the lunch menu. I'm sure I won't be able to stay away from this lovely cafe for long! All content, including images, on this website are the property of the author. Text or images must not be reproduced without permission from this website. Rights to the use of these images (for web or print) are available for purchase. You may already know that I love YouTube workouts. But I've recently discovered a Nintendo Wii game that is seriously addictive - Just Dance! I wasn't sure whether I wanted to buy a Wii just for this game, so as usual, I turned to YouTube. I've arranged the Just Dance videos in this order so that it starts off pretty easy and you can warm up. Then the dances get slightly more difficult and more energetic to get the heart pumping a bit faster! Feel free to check out the playlist on my YouTube channel or browse the videos individually below. There are PLENTY of other Just Dance videos out there. Which ones do you love? Please let me know in the comments section below! Recipe: Bliss balls - great snack! Finely chop nuts, seeds and coconut in the food processor. Scoop about 2 tbsp of mixture out and reserve on a plate. Add dates, dried fruit, essence, cocoa powder, spices and honey to food processor until combined. Roll into balls before rolling around in the reserved nuts and seeds mixture. I've never been a huge fan of gyms. I know most people are too busy doing their own gym workouts to care what anyone else is doing, but I always get self conscious whenever I go to the gym. That's why Youtube workouts are so perfect for me. I can follow along with a "class" in the privacy of my own home. All I need is a mat and my tablet and I'm ready to go! I particularly like Jillian Michaels workouts because they're so intense that I feel like I've achieved an awful lot in only 20 minutes! Here are my top 3 favourite Youtube workouts (all by Jillian Michaels). This workout is about shedding fat while toning your core. She doesn't just work your abs, she also works your lower back to bring balance to the body. The first time I did this workout, I barely made it past the warm up (which was also designed to work the abs). But over time, I've been able to do more and more of the workout every time I do it. What I like most about this workout are the kick boxing moves in this workout. I also like it when she explains why the move is beneficial to your fitness and what area it is targeting. This is my absolute favourite workout for so many reasons. It could be that the group of people working out are at all different levels of fitness and you can modify your own workout by mimicking the person closest to your level of fitness. It could be that Jillian focuses a lot on technique and how to do the moves correctly. It could be that she keeps up a steady stream of chatter, a mixture of encouragement and threats to keep you going! Whatever the reason, it's a fantastic workout for beginners. I've realised that motivation is my biggest obstacle. I know what I need to do, but weekly and daily motivation can be hard to keep up!